Carmarthenshire Moth and Butterfly Group: Better moth weather is on the way! Better moth weather is on the way! According to the forecast, better weather - warmer with southerly winds - will reach us by later this week, thus ending the `mini-winter` of this April. We`d better dust off our traps in readiness! 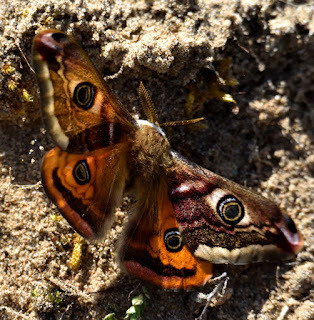 New moth enthusiast Adam Dare spotted a couple of emperor moths in the sunshine at Pembrey Burrows today and I attach one of his photos. In spite of using a high speed setting, the quickly vibrating wings are still evident. 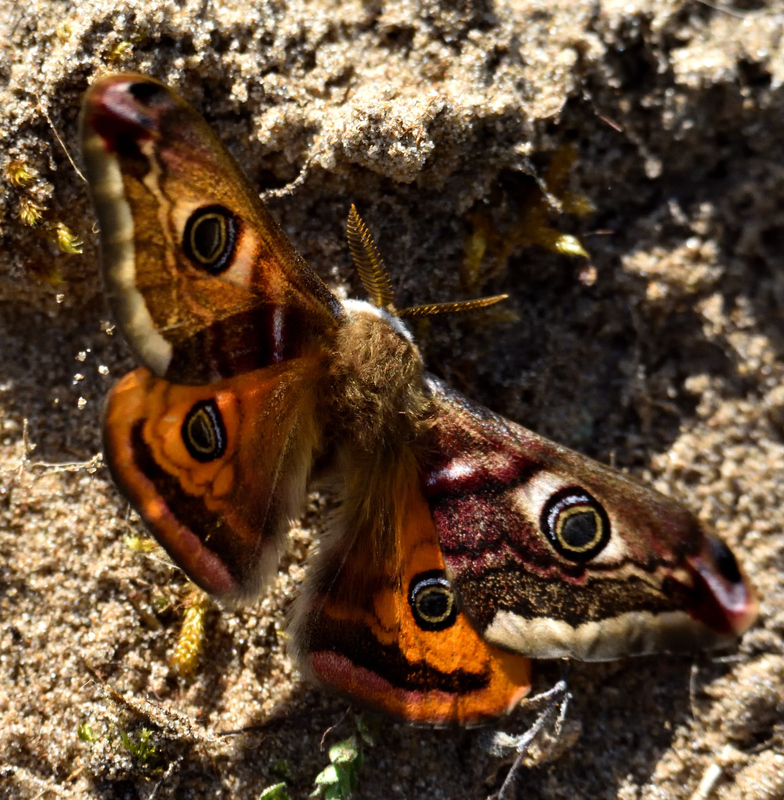 Above: emperor moth. Photo: Adam Dare.